Shauna Dazzle. An amazing talented Singer, Songwriter and Producer. Shauna's album. "Officially" is flooded with love songs that capture Shauna's introspective, mature songwriting style, along with her signature vocals. Visit Amazon.com, i-Tunes or your favorite digital music store to sample and download Shauna's debut album, "Officially". Want Authentic Reggae & Dance-hall Music, they way it used to be? Click here. Get the NeoCounter at NeoWORX! We also can put your music on Last.FM! This Website always been about the music not the hype. Auder Limits has now released more new music on i-tunes, amazon.com and more digital stores. Visit www.AUDERLIMITS.com for more info and make sure you cop the new mix-tape from Auder Limits if you're looking for music from Miami's hardest working not the most hyped up. Miami's Underground Music Movement makes history. Be part of our future international exposure campaign by keeping it locked to www.daoneradio.com for more info. Click here to read the rest of article. ATTENTION INDIE ARTISTS!! WHEN YOU ARE READY TO EARN $$$ FOR YOUR MUSIC...CONTACT US. Every Week DaOne Radio.com compiles the top 20 songs from all of our radio station partners and play's them all on https://www.facebook.com/dadecountyradio. All music submissions MUST include a completed Music Submissions Form (please contact us for the form). This form notifies Radiowave partners that music has been submitted for encoding and also informs us of pertinent information related to the submission including its add date, release date, and genre(s). YOU CAN STILL FIND US FIGHTING FOR INDIE ARTISTS AT MIAMI PIPELINE EVERY MONDAY!! ATTENTION INDIE ARTISTS!! WHEN YOU ARE READY TO EARN $$$ FOR YOUR MUSIC...CONTACT US. Call us for help on setting up your music for worldwide radio airplay with reports. What Happened to Radio Lately? by Eric K. Arnold Future of Music Org. Catch Miami's only Rap & Hip-Hop radio show for brand new music from Local and International artists. The M.I.YaYo Radio show live every Monday, Wednesday & Friday from 5:00PM to 7:00PM e.s.t. (Most of the time. lol) We don't play politics just good music. More live radio shows coming soon. We need your help to help preserve great music. Sponsor a show right now by clicking the Radio Promotion link here or on the upper left menu. If you've out-grown commercial radio then we're glad you found us. With DaOne Radio you'll hear music & news for music lovers who don't necessarily follow one particular style of music. DaOneRadio.com began broadcasting on the Internet in December of 2005 as an outlet to showcase and nurture up-coming Caribbean music and culture from around the world. With its main office in Hollywood, Florida it became the launching pad for many of South Florida’s most talented and well-known entertainers and music promoters; such as Junior Reed, Tassan Chin, Trini-Jacobs, Chuck Fender, Red Ratt, Madd Cobra, Luciano, and many more. We have recently changed our radio format, making it open to many more styles and genres with our focus remaining on featuring new and independent music first. If you describe your musical tastes as more eclectic than average then DaOne Radio is for you. Love this video from our friends Auder Limits. This could be our theme song. Thanks to Cash Money Records for sending Brisco to show love. Original Cash Money Records B.G. comes thru to show love. Alfalfa The StikkMann is destined for greatness plus he's his own ASCAP Publisher. 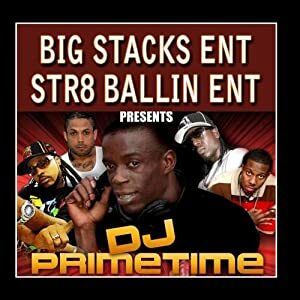 This latest mix-tape hosted by Official G-Unit deejay, DJ Epps has all the makings of a classic mix-tape. 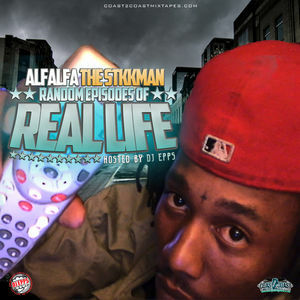 Alfalfa The StikkMann has been a favorite on Miami's underground radio stations with a proven history of making street hits. Play Radio with Any Player. Click Player Buttons. Ridah Redd - "To The Core"
Find out what Palm Beach County and Dade County have in common. Click picture above to watch video. Carol City, Miami, Miami Gardens music.